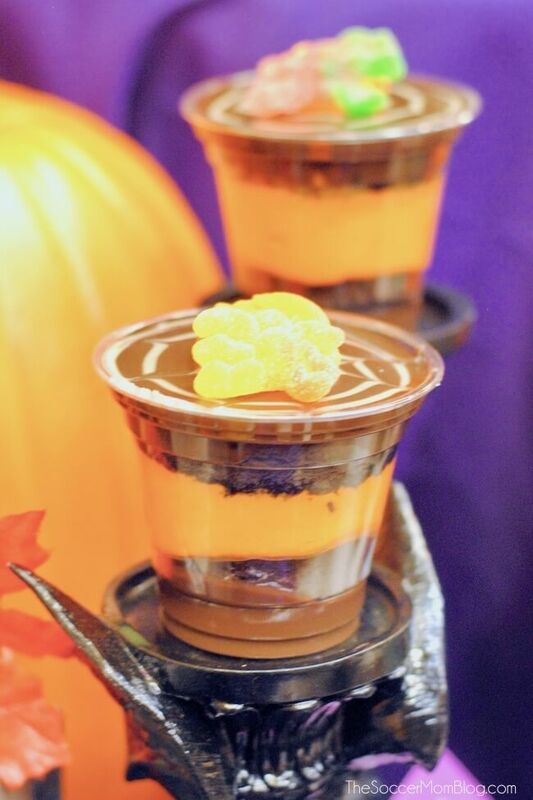 We tasted our way through the 2018 Disneyland HalloweenTime food offerings! 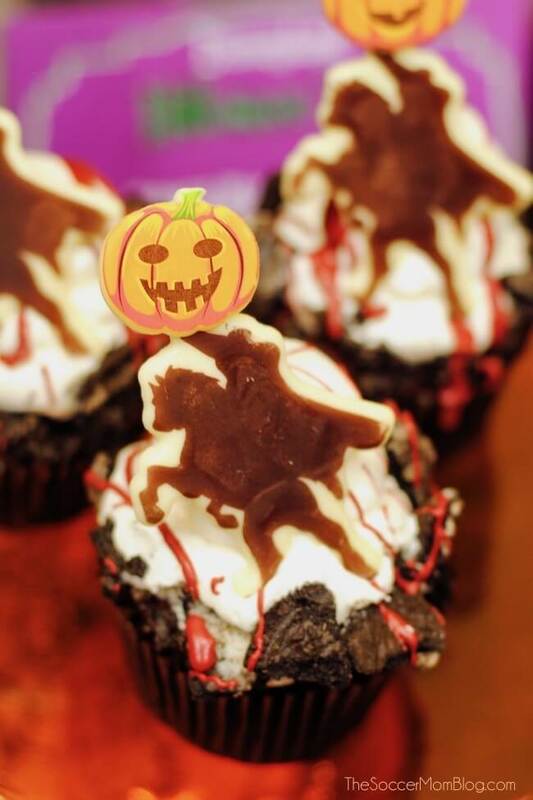 Check out our photos of these limited time treats & see our must-try items! 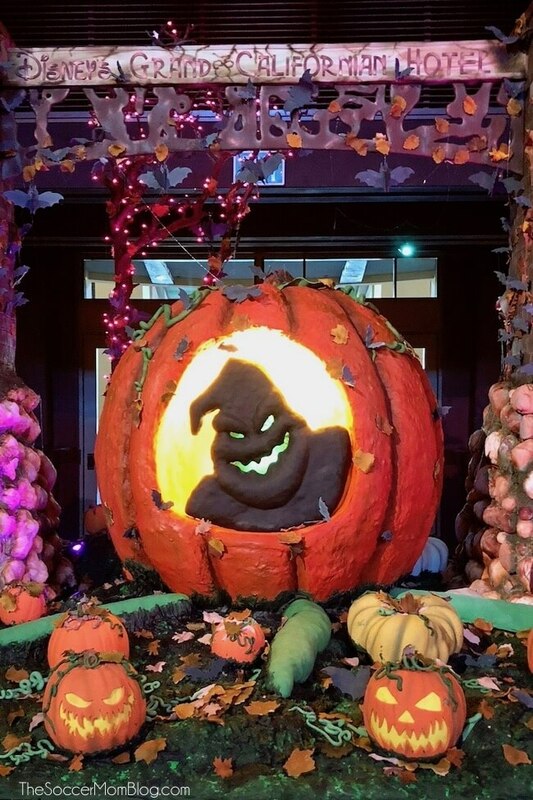 Let me start out by saying that it is IMPOSSIBLE to try all of the Disneyland HalloweenTime food offerings in a single 3-day visit…but we did our best! 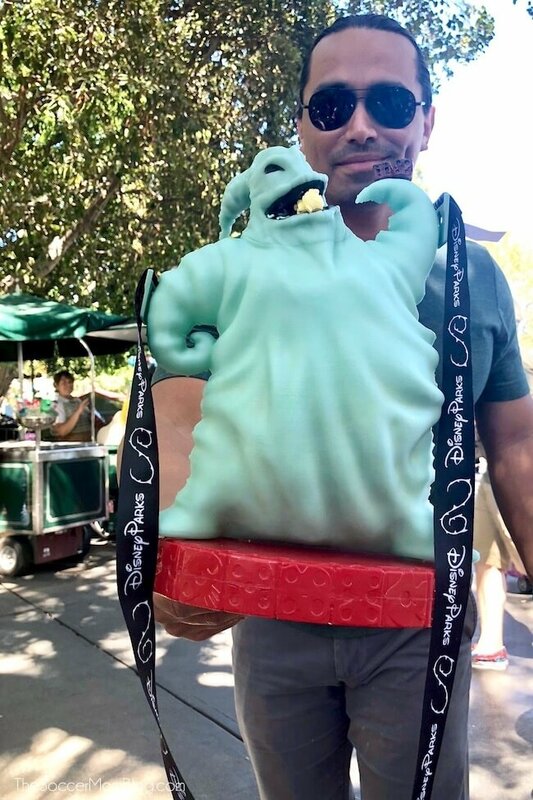 On my first visit to Disneyland this spring (yes, the first time in my life…really!) 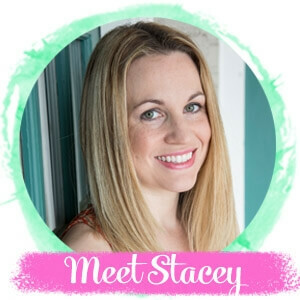 I did a food tour with my blogging buddy and Disney aficionado Jennifer. 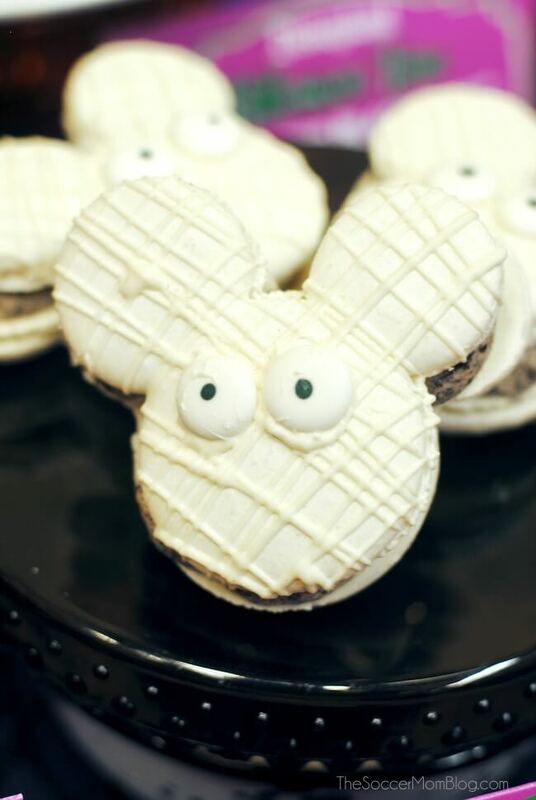 Related: See the 10 Must-Try Foods at Disneyland here! 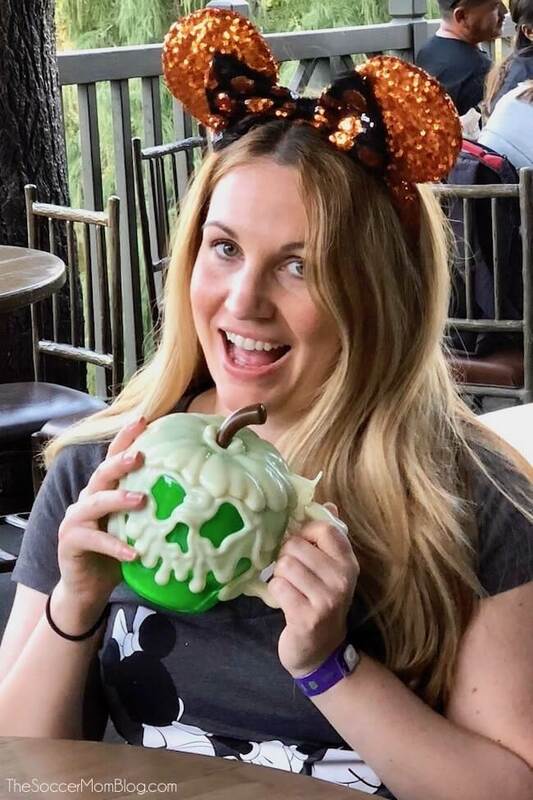 So when Disney invited my family and I back for HalloweenTime this fall, my husband and I decided to do our own food tour of all the HalloweenTime snacks and treats we could manage in our trip. So much fun and not one single thing was a disappointment! I’ve broken down everything we tried into categories and noted where we found them in the park. Enjoy! 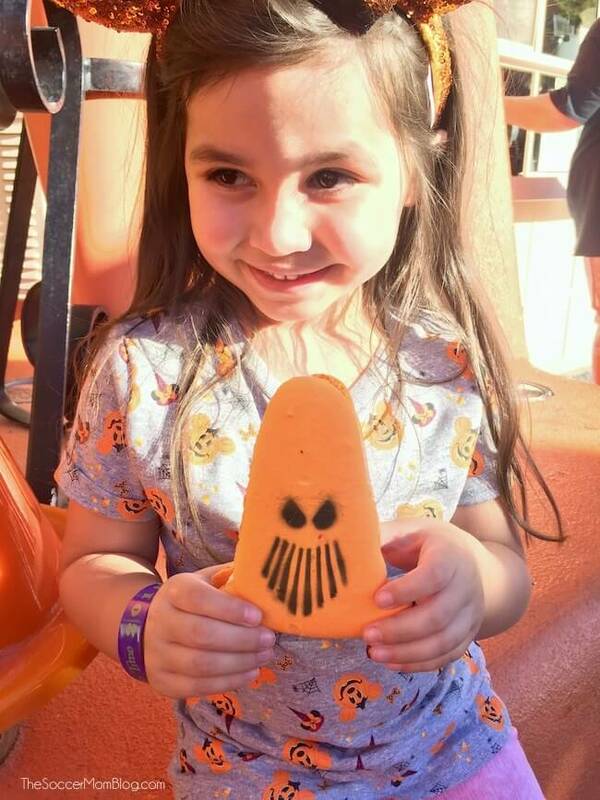 PS- HalloweenTime lasts through October 31st. Find them at the Mint Julep Bar in New Orleans Square, Disneyland Park. When fall rolls around, everyone is all about pumpkin spice lattes. However, at Disneyland HalloweenTime it is all about the Pumpkin Spice Beignets! 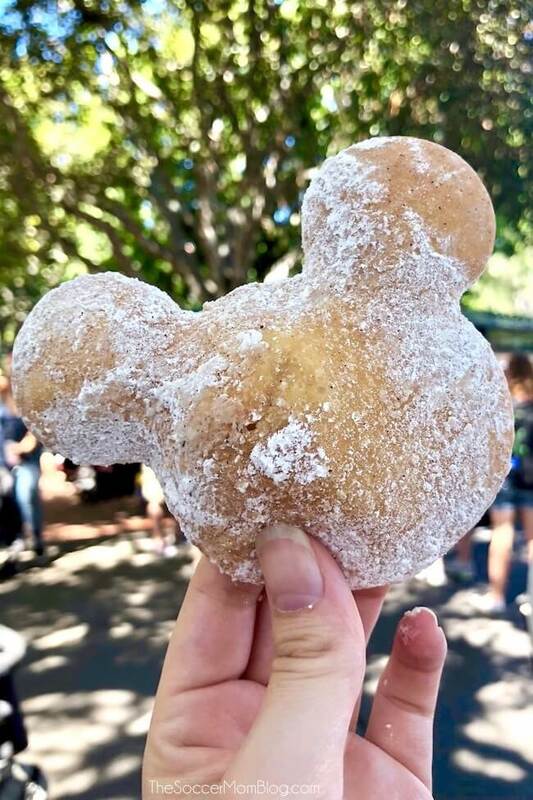 These fluffy Mickey-shaped pockets of dough have just the right amount of pumpkin spice flavor and are dusted with just the right amount of powdered sugar and cinnamon. 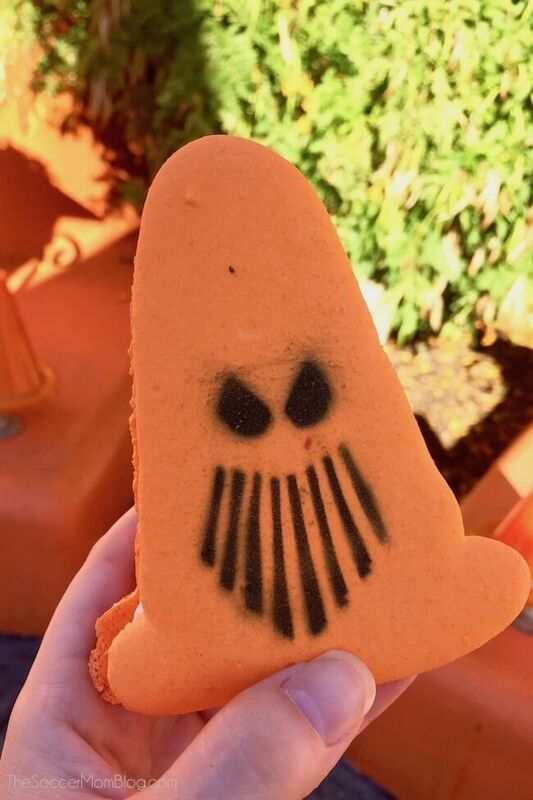 On our HalloweenTime food tour, we usually bought one of each item and shared among our family — but everyone wanted their own Pumpkin Spice Mickey Beignet. Just my humble opinion, but I think this should be a year-round menu item! I would definitely grab this every single time it’s available! 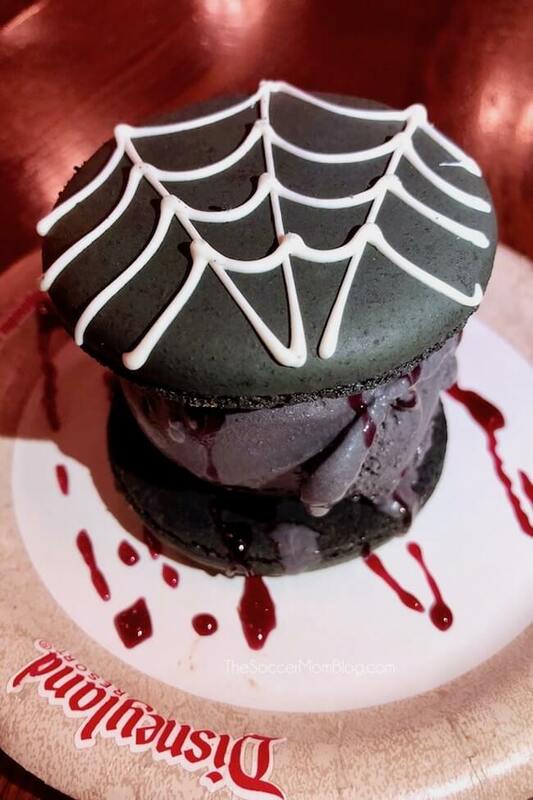 These are the Disneyland HalloweenTime treats that we weren’t sure about at first, but just HAD to know what they tasted like. They ended up being some of our favorite food finds of the entire trip! Find them at the Cozy Cone Motel in Cars Land, California Adventure Park. I’m not a fan of candy corn. Marshmallow fluff isn’t really my thing. 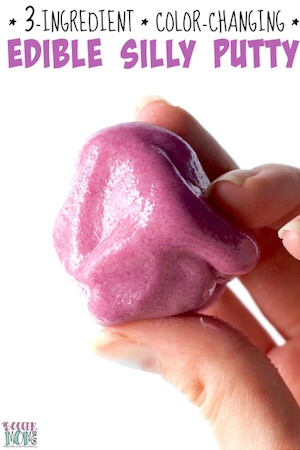 So how can a macaron stuffed with the two taste so amazing? Why did I crave more after just one bite? Why was I trying to sneak bites from my four-year-old who also thought her “Spokey”-Cone Macaron was the best thing ever?? I can’t even describe exactly how these bright orange macarons taste, but they just work. Trust me and try one! 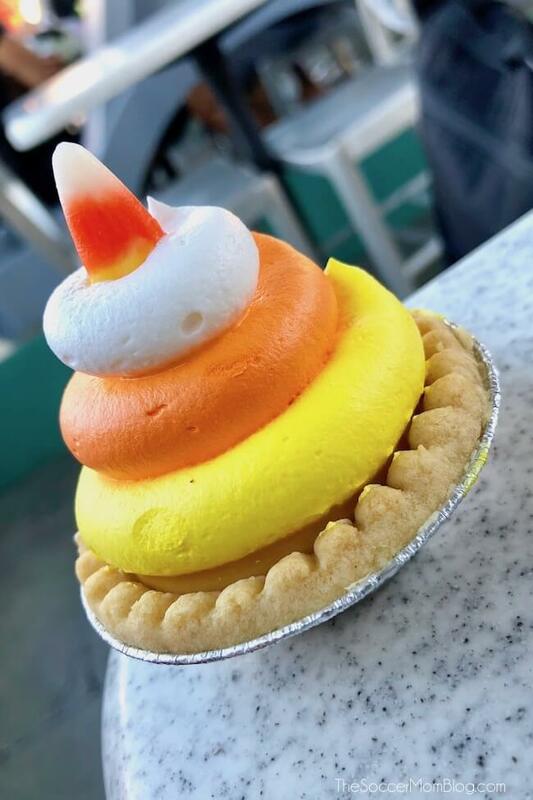 There are SO many incredible HalloweenTime offerings at the Jolly Holiday Bakery that it is hard to choose just one. That’s why we went back to the Jolly Holiday Bakery every day to try more things! All the things! 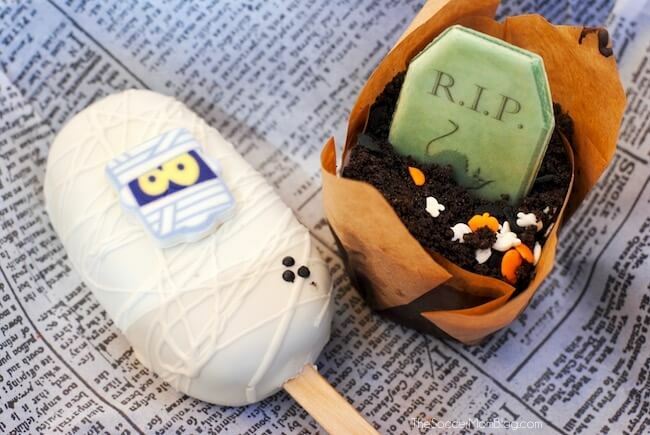 The Sweet Potato Hand Pies aren’t as fancy looking as some of the other Disneyland HalloweenTime baked goods. Perhaps that’s why they seemed to be passed over in favor of the ornate cupcakes and macarons that also filled the bakery case. 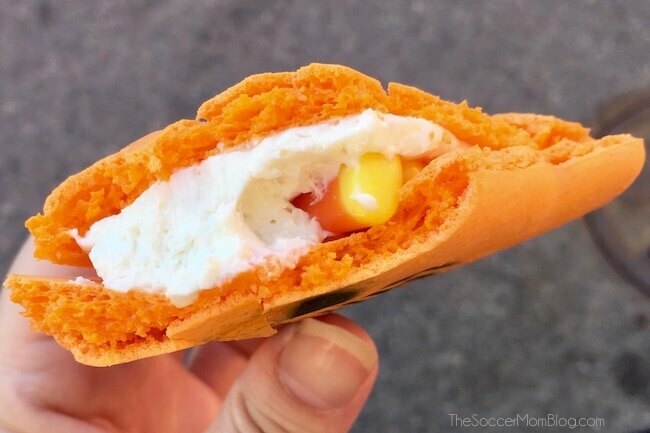 However, we took a chance…and let me tell you…these Sweet Potato Hand Pies are the sleeper hit of HalloweenTime! 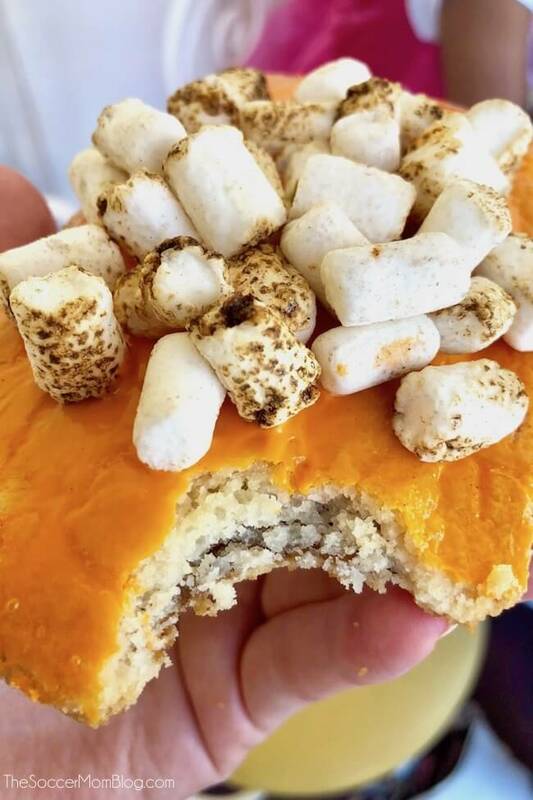 They taste just like a portable piece of pumpkin pie or sweet potato casserole (hence the toasted marshmallows on top). YUM!! 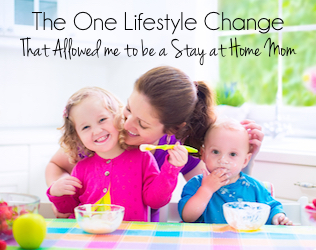 Be an insider…don’t skip these!! Be sure to pop into Clarabelle’s Hand Scooped Ice Cream on Buena Vista Street in California Adventure. My dad and sister joined us for an ice-cream extravaganza and it was one for the memory books! Picture this: luscious white chocolate raspberry ice cream nestled in a thick, chocolate-dipped waffle cone, topped with raspberry drizzle, whipped cream, and sprinkles. 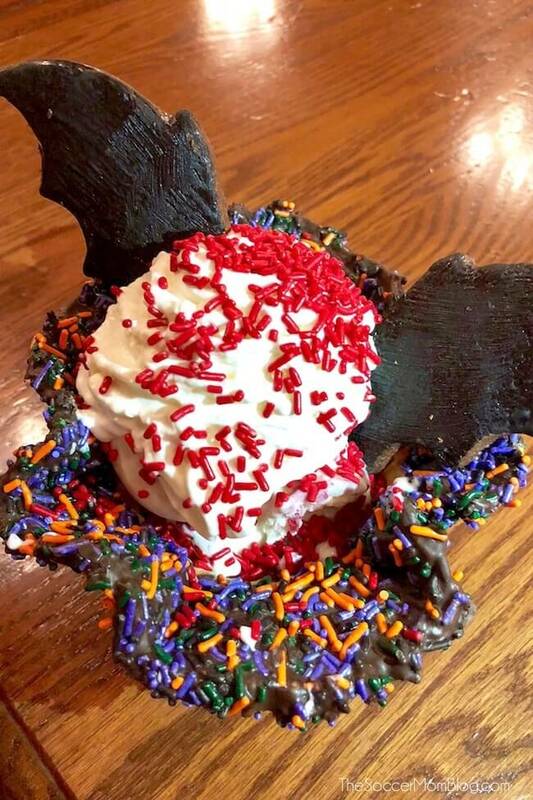 Oh, and we can’t forget about the giant chocolate bat wing cookies that make this ice cream sundae a show-stopper! I can’t confirm if there is actually charcoal in the ice cream, but if there is it would just be for color. All you taste is tart black cherry ice cream – and it is fantastic! Kids always love when their mouth turns colors after eating something, so I guarantee this spooky sandwich will be a hit! Find them at Fiddler, Fifer & Practical Café in California Adventure Park. Find it at Mortimer’s Market and Boudin Bread Cart in California Adventure Park. 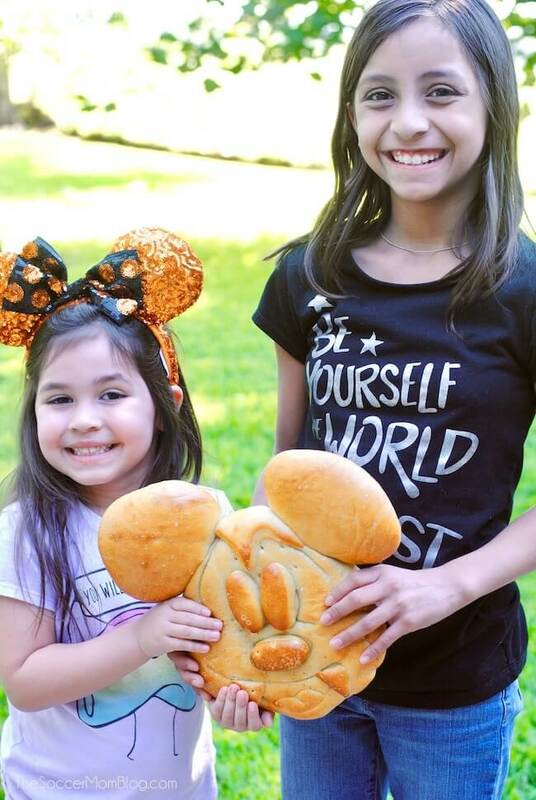 How fun is this GIANT loaf of vampire Mickey shaped sourdough bread?! Find them at the Galactic Grill in Disneyland Park. Be on the lookout for these around the park! Find them at Flo’s V8 Cafe in Cars Land at California Adventure Park. These layered mini pies are filled with a rich vanilla and white chocolate butterscotch pudding. They’re just the right size for tasting…and still leave room for more treats! Find them at the Jolly Holiday Bakery in Disneyland Park. The cookies & cream filling is heavenly! These festive foods have a little surprise in the middle! Find them at the Red Rose Cafe in Disneyland Park. 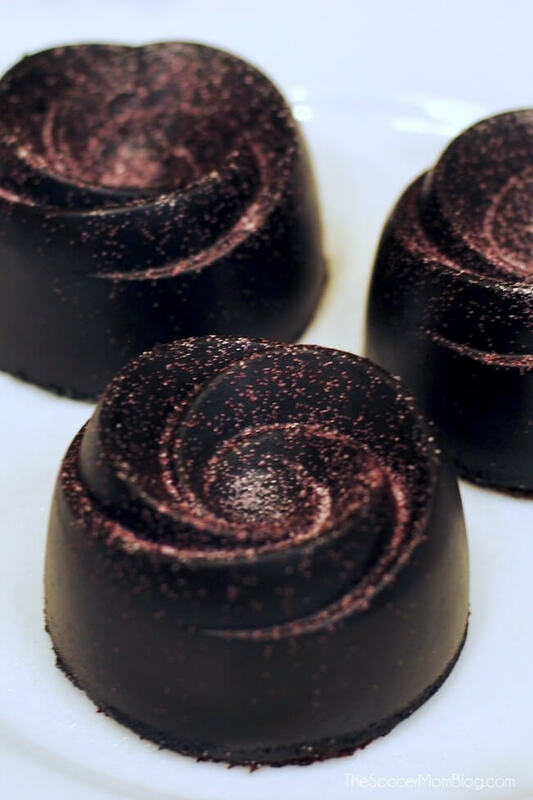 Raspberry compote and a crunchy center make this more than meets the eye! Find them at the Plaza Inn on Main Street in Disneyland Park. 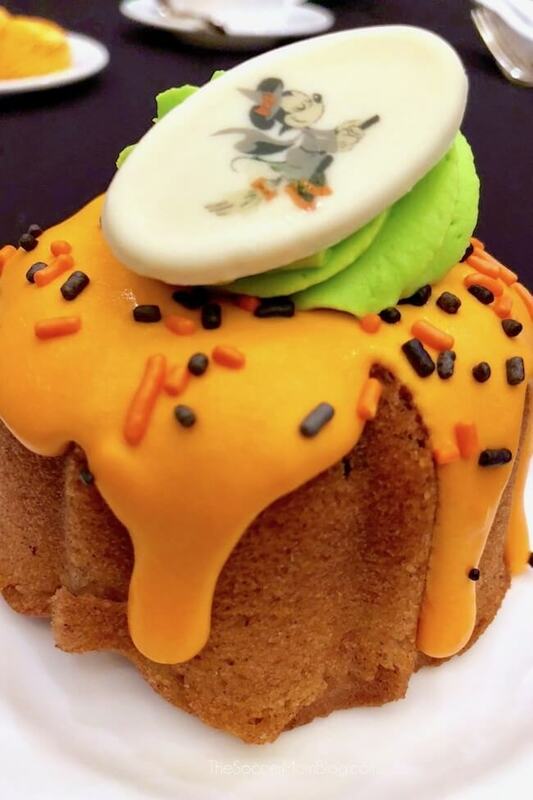 At first glance this looks like a simple bundt cake with Halloween-colored icing and sprinkles. But when I dug in and discovered the crunchy apple & praline center, I was hooked! Find them at the Jolly Holiday Bakery on Main Street in Disneyland Park. What looks like a simple dirt cake-style cupcake is actually stuffed with chocolate mousse and cherry filling! It’s a messy good time, so this is one cupcake you might want to eat with a fork! 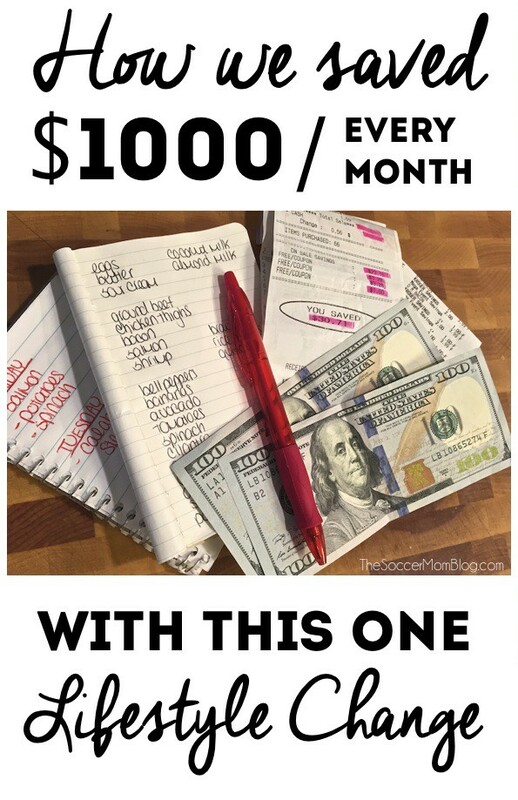 Don’t Forget About Your Hotel! 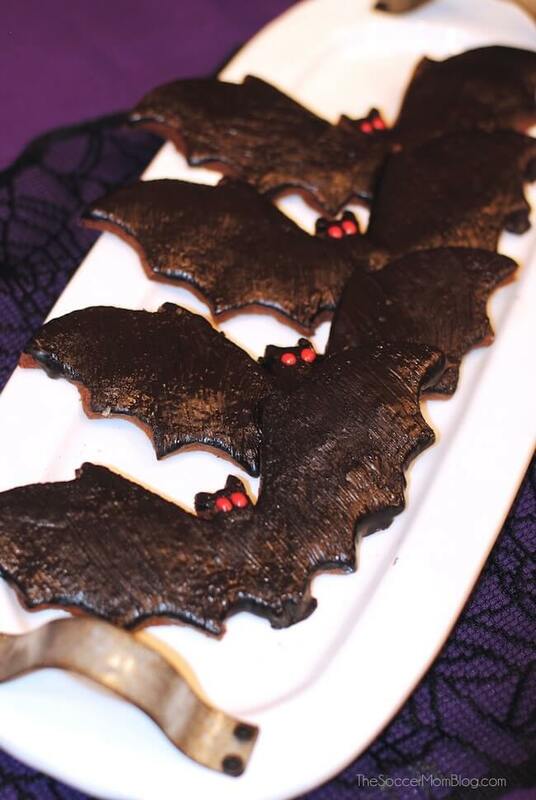 The Disneyland Resort hotels also have plenty of HalloweenTime food fun too! There are also lots of tasty goodies available at the Grand Californian Hotel Holiday Cart, like this Mickey Whoopie Pie and mummy cake pop. 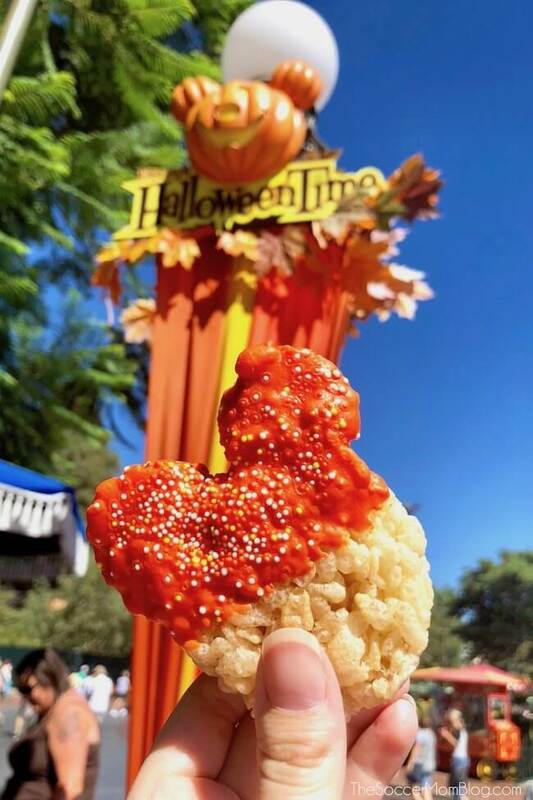 Churros are a thing at Disneyland, so of course there are some specialty holiday churros around the park for HalloweenTime! 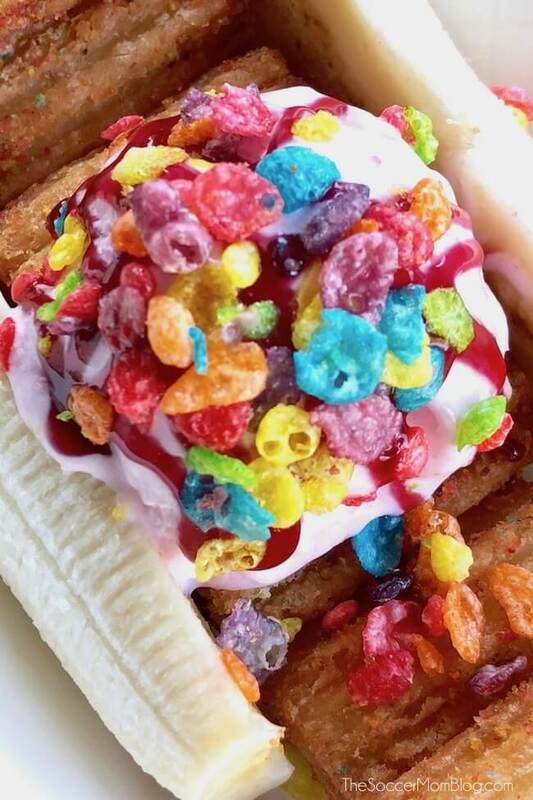 We shared a Churro Bites Cereal Sundae at Hungry Bear Restaurant — it’s a sweet combination of mini cereal dusted churros sandwiched with banana slices and topped with strawberry ice cream and more fruity cereal. 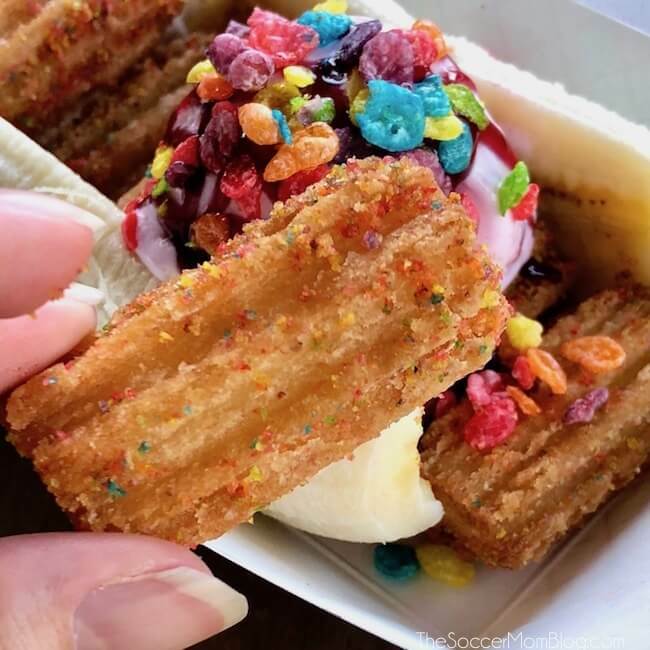 There are so many different churros to try, it’s impossible to go wrong! One thing we really wanted to sample was the Slow-Burnin’ Mac and Cheese Cone from the Cozy Cone Motel in Cars Land. Described by the Disney Parks Blog as “fresh-cooked pasta with spicy red pepper cheese sauce topped with crushed chile-cheese puffs and served in a bread cone,” it sounded wacky and spicy and FUN! Apparently everyone else wanted to try it too, because the Slow-Burnin’ Mac and Cheese Cone was sold out when we were there. My advice is to map out the foods you want to try before your trip and hit the popular items early. It’s got a handy strap so your little travelers can easily carry it over their shoulder and a slot that opens and closes to keep your popcorn inside while walking. Depending on where you purchase your Poison Apple Stein, you can have it filled with a refreshing soft drink or fresh fruit. We also saw them used as flower vases at a special Vampirina Meet ‘n Greet at our hotel – so I’ll be borrowing that idea as we get closer to Halloween at home! 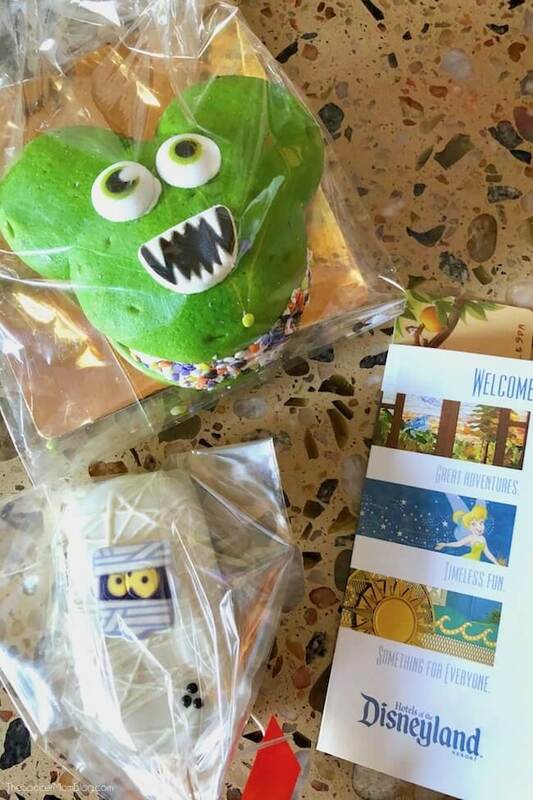 Disclaimer: We received some complimentary food and beverage items courtesy of Disneyland, as well as complimentary park admission. 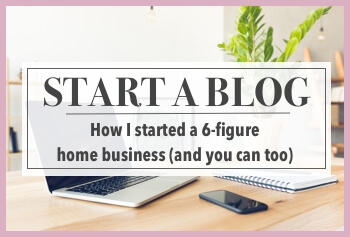 However, some of the items were also purchased on our own dime, and all of the opinions in this post are 100% honest and authentic.